Don't Miss This Beautiful 3 Bedroom, 2 Bathroom, 1 Car Garage CBS Home on Quiet Street. Updated throughout with New Kitchen and Appliances in 2012, French Door Refrigerator Brand New in 2018, New Vanities in Bathrooms, New TRANE AC in 2016, New Tankless Hot Water Heater, Tile Throughout Home, Huge Master Walk in Closet, Hurricane Shutters, Widened Driveway, Privacy Fenced Yard with Large Screened Patio. The Garage has a Work Bench with Plenty of Extra Cabinets for Storage. 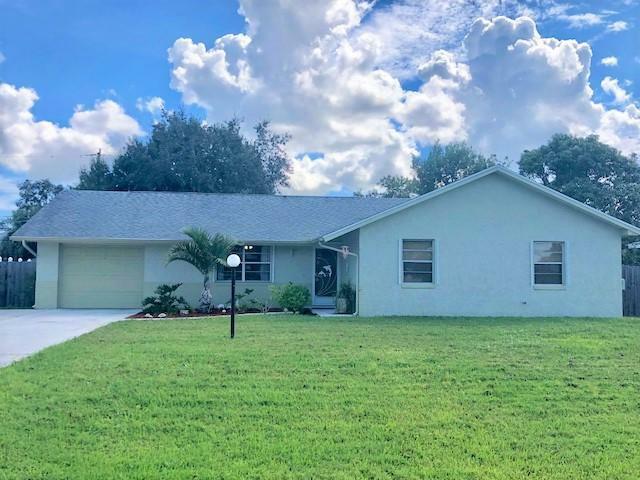 Within Minutes to Saint Lucie West and Shopping!! This Home is a Must See! !